The online advertising battlefield is taking even more significance ahead of the 2019 Lok Sabha Elections. The Google Political Advertising Transparency Report and searchable Political Ads Library data since 19 February suggests that political parties are putting in their best effort to place advertisements on the Google platform, to get their political message across. 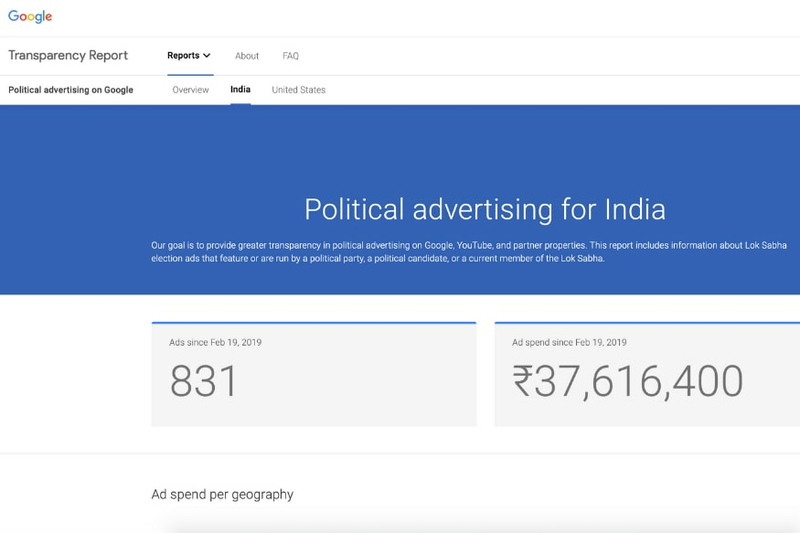 As per the Google Political Advertising Transparency Report, the total ad spends by the Bhartiya Janta Party (BJP) totals up to Rs 12,148,600 for this period, while the Yuvajana Sramika Rythu Congress Party spent Rs 10,434,500 on advertising. Incidentally, a lot of groups advertising for Chandrababu Naidu’s Telugu Desam Party (TDP) have also spent big thus far—these include Pramanya Strategy Consulting Private Ltd (Rs 8,525,300 spent) and Digitant Consulting Pvt Ltd (Rs 6,343,800 spent). The Indian National Congress spent just Rs 54,100 on its own for advertising. Google suggests that Rs 37,616,400 have been spent on 831 online advertisements on Google platforms in the lead-up to the Lok Sabha Elections. The spend by groups based in the state of Andhra Pradesh totalled Rs 17,356,100, which is the highest from any state in India. Among the other states which could have a huge bearing on the Lok Sabha elections, Uttar Pradesh saw spends of Rs 1,847,300, West Bengal clocked Rs 921,900 in ad spends, groups in Madhya Pradesh spent Rs 810,900, Maharashtra clocked Rs 1,719,500 while Gujarat logged in with Rs 846,400 ad spends on Google platforms. Google had updated its Ad Policy for India in February, around the same time as Facebook. The new election ads policy for India requires advertisers running election ads to provide a ‘pre-certificate’ issued by the Election Commission of India (ECI), for each ad they wish to run. 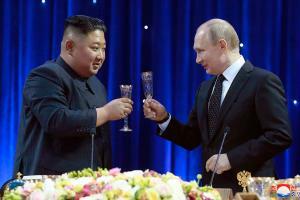 Google also has to ensure that it has complete verification details of the advertisers placing adverts on their platform.